If you use Reamaze and eBay (as a seller) we hope you’ll find the process to be worthwhile. While we don’t have a full eBay integration (due to eBay’s limited API access) this recipe will get you started on supporting eBay customers who message your helpdesk for customer service. This recipe is one more tool belt feature that we hope can help you consolidate multi-channel support. The first thing you’ll want to do is make sure the email address associated with your eBay seller account is forwarding emails to your Reamaze channel. 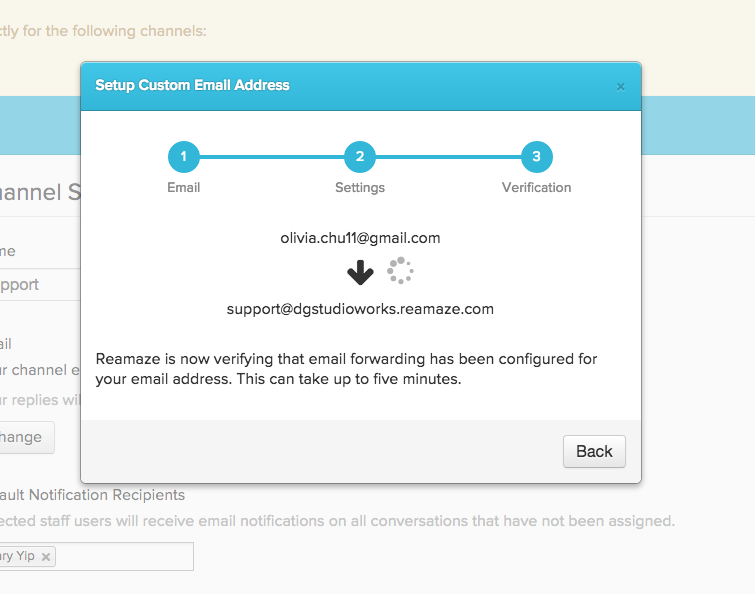 In Reamaze, you can create a new channel just for handling eBay message. I’m using Gmail here but the process should be familiar with other email clients. Once forwarding is set up. 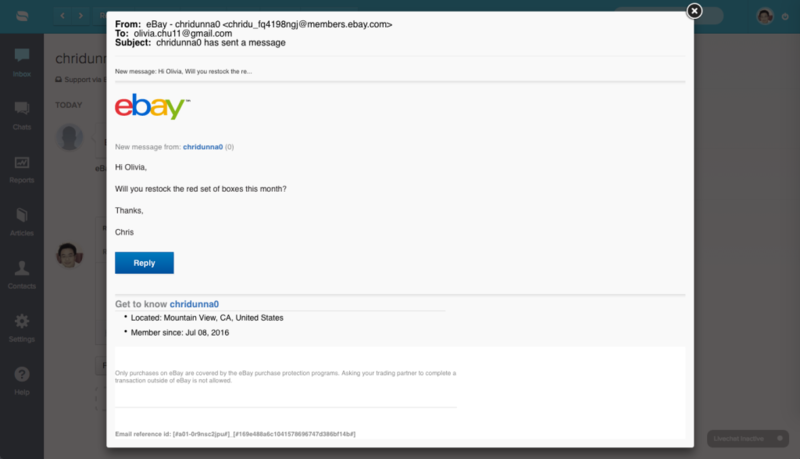 You’ll want to make sure you can setup custom SMTP so eBay can authenticate that you’re actually the same person sending and receiving eBay messages back and forth. We have an article on this here. 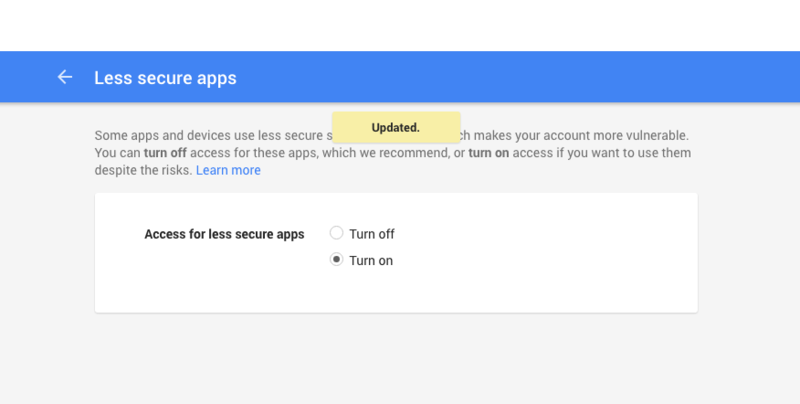 If you’re using regular Gmail or Google Apps, you’ll need to allow less secure apps to access your account. 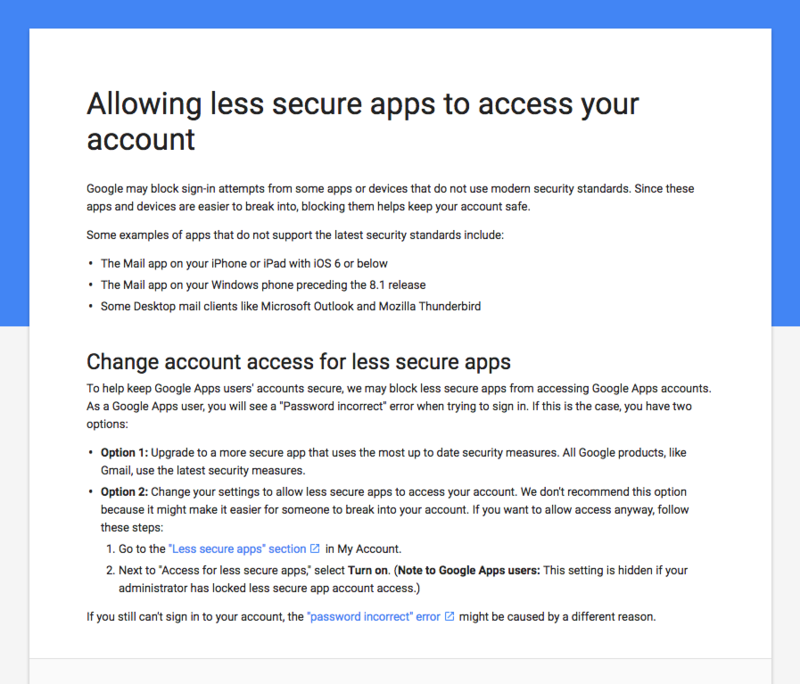 Simply do a search for “allowing less secure apps to access your account“. Click the radio button to toggle the option on. For added security measure. Go to https://accounts.google.com/DisplayUnlockCaptcha and grant permission again just to be sure. Next, go to the Reamaze channel you’ll be using for eBay and edit the channel. 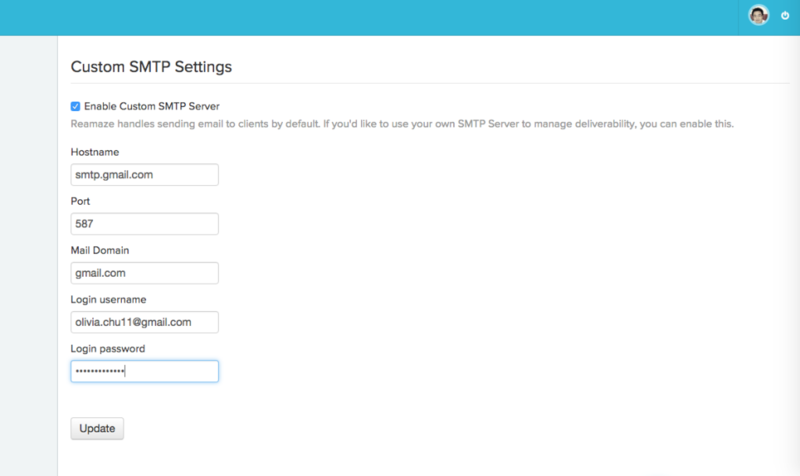 Scroll down to the bottom to enable Custom SMTP. Fill out the required fields. 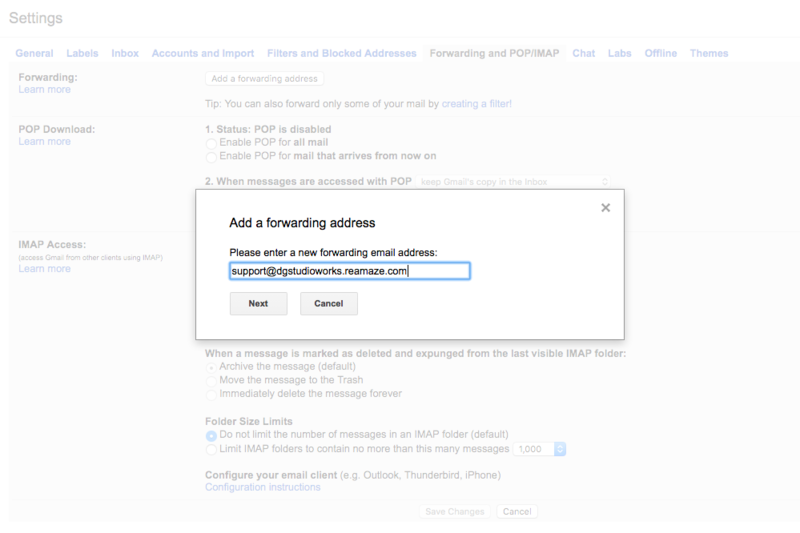 For Gmail, the hostname is smtp.gmail.com, port is 587, mail domain is gmail.com. For other providers, simply do a quick search to find the right settings. IMPORTANT NOTE: You Custom SMTP email needs to match the email under your sender settings in "Communication Preferences" under your eBay's "My Account" section. Now you’re ready to receive incoming eBay messages! 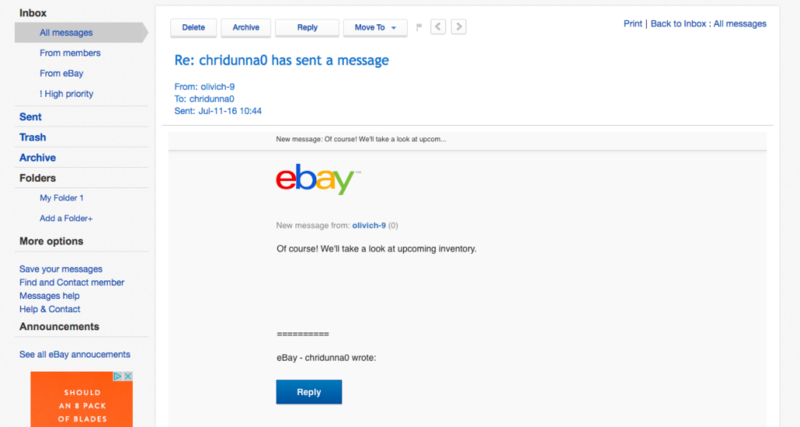 I created an eBay account (chridunna0) pretending to be a customer and messaged my seller account using eBay’s messaging system. 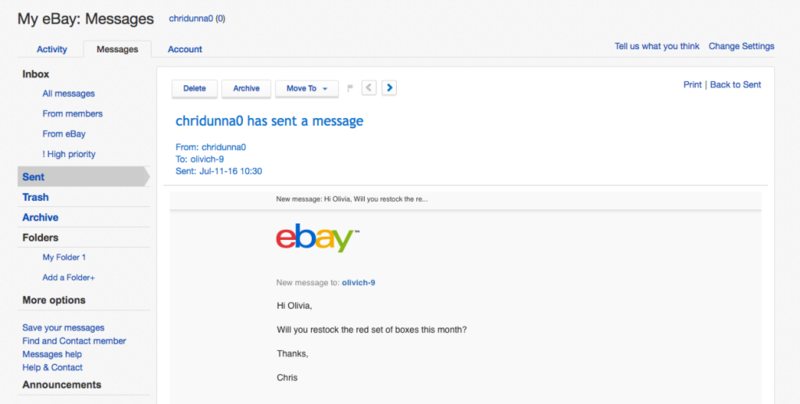 As Olivia (the agent), the message from Chris appears in her dashboard as eBay + Email reference ID. The subject of the message must contain the reference ID due to eBay’s strict standardization for messages handled by 3rd parties. 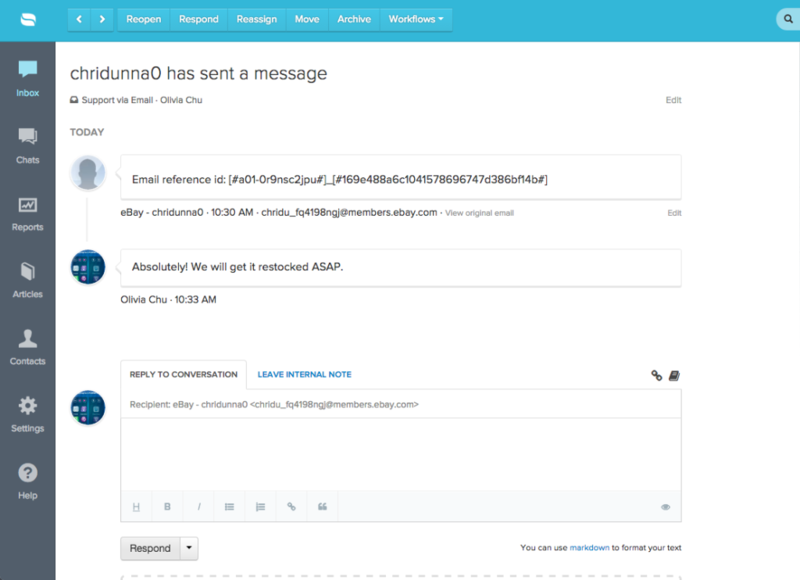 Click on the conversation to open it and use the “View Original Email” option to read the conversation in its entirety. You can then use Reamaze to reply directly to the customer without ever having to log in to your eBay account. The customer (Chris) will see the reply in eBay’s messages center and it will appear as if it came directly through eBay.